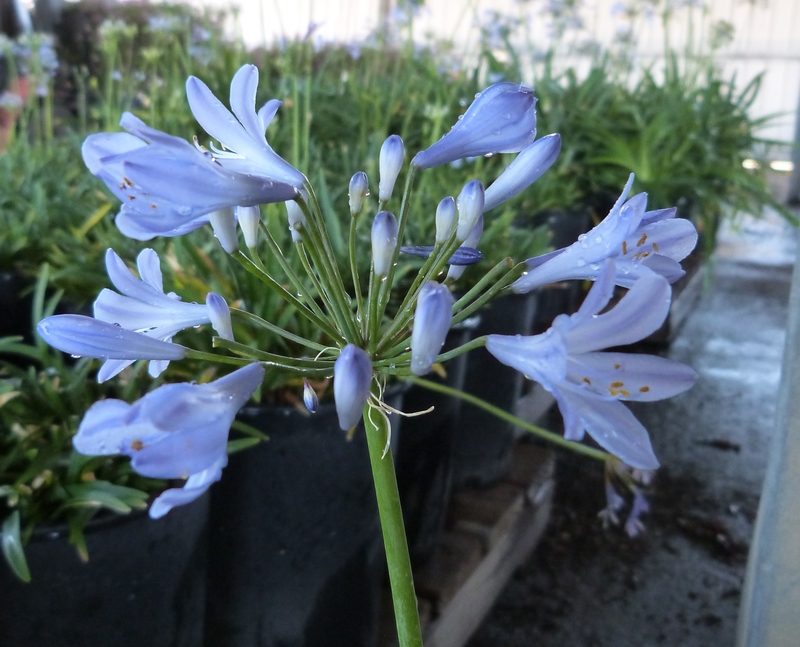 Agapanthus africanus is an evergreen plant. Outstanding free-blooming dwarf variety. Foliage clumps are 8-12 inches tall with clustered blue flowers topped with 12-18 inch stems.